The week before the Dow/SPX quickly plunged 10%, the Fed had reduced its SOMA account (the SOMA account is its “QE” account) by $21 billion. Just as quickly as the stock market dropped, it has sharply recovered more than half of its losses from the previous week. As it turns out, the Fed added $11 billion back to its SOMA account. That’s an $11 billion injection of cash directly into the banking system. Clearly the Fed’s actions were a large factor in the 10% plunge and the subsequent bounce. The Federal Reserve is targeting stock prices with it’s monetary policy because, if it did not, the financial system would collapse led by collapsing pension funds and the housing market. The pension collapse alone would run into the trillions of dollars. I have a good friend/colleague who works at big public pension fund. He did a “stress test” study with the data available to him on all big public pensions. He concluded that, based on the current stated amount of underfunding at every big pension fund, if the Dow/SPX declined 10% or more over a sustained period of time – where “sustained period” is defined as 3-4 month – every public pension fund in the country would collapse. You’ll note in the graphic above that the three 10% drops in the Dow since August 2015 were followed with sharp, “V” recoveries. Each one encompassed 10% drawdowns which were remarkably brief. The latest 10% plunge has been met with an equally forceful recovery, with the 10% decline allowed to persist for less than three trading days. To date, the price of gold and silver have followed a very similar trading path that was taken by the metals in early 2016, with gold and silver bottoming in mid-December and staging a strong rally through mid-January. Technically, as our Shadow of Truth guest Craig “Turd Ferguson” Hemke point s out, all of the stars were aligned for a take-down of the gold price using paper derivative gold. These “stars” include: January contract trading expiration, February options contact expiration, an “overbought” technical condition and the upcoming FOMC meeting and employment report next week. ALL of these variables are factors which are used to help the bullion bank gold cartel take down the price of gold and silver using the paper gold derivatives traded largely without enforcement of the regulations in place in New York and London. But now the market is set up for an upside surprise. Contrary to recent “alternative facts” media reporting, India has continued consuming a lot of gold on a daily basis. This includes legal kilo imports, dore bar importation (subject to a lower import duty than kilo bars) and smuggling, the latter of which is estimated to be as high as 300 tonnes per year now. The “authorities” in the media who track gold into India fail to account for dore bar flow and smuggling. In addition, a favorite false narrative of the World Gold Council, Bloomberg and Reuters is that gold imports into China slowed down at the end of the year because of import restrictions put on gold by the Government. Nothing could be further from the truth. The “fake news” reports are based on imports into Hong Kong, which are publicly reported by Hong Kong authorities. But a few years ago China began to allow gold imports through Beijing and Shanghai, which is not reported, specifically to obscure the true amount of gold flowing into China. But it’s easier to build a false narrative around easily observable data rather than look for the greater truths intentionally hidden from public purview. As it turns out, nearly 100 tonnes of gold were delivered onto the Shanghai Gold Exchange on the last trading day before China closes shop for the Chinese New Year celebration. Of course, if any of that gold flowed through Beijing or Shanghai, it would go unaccounted for by the entities listed above that only account for gold going from Hong Kong into China. Craig “Turd Ferguson” Hemke invited me on to his “A2A” webinar with his subscribers last week. We had a spirited and (I think) entertaining discussion about abundance of fake economic news that permeates the financial media, the true state of the U.S. economy and the growing risks to the stock market. And of course we chatted about precious metals an mining stocks. And of course his subscribers had some interesting and thought-provoking questions. 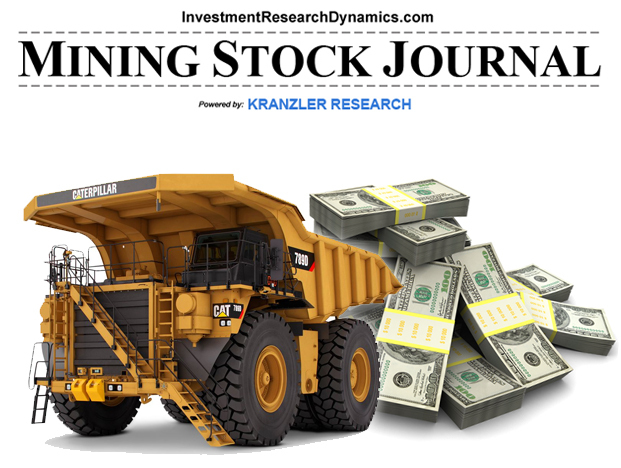 You can listen to our conversation here: A2A with Dave Kranzler and you can access Turd’s webite here: TFMetals Report. 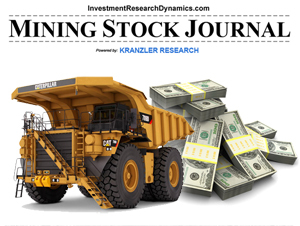 Is A Precious Metals/Mining Stock Sell-Off Imminent? Silver is up 25% YTD through last Friday. I have not checked every commodity and stock index, but if silver is not the best performing asset YTD, it’s in the top three. What’s more remarkable is that this move has occurred despite vociferous anti-gold/silver propaganda flooding from Wall Street and the media. The current “meme” is that the large net short position by the bullion banks against the large net long position of the hedge funds has set the market up for another predictable price raid by banks. I do not know if the banks will be able to pull it off yet again. Depends on whether or not the hedge funds have stop-losses set that the banks can smash with enough paper to trigger them or whether the hedge funds will keep buying the paper that the banks print. In the past, it gets to a point at which the hedge fund computers start selling and the banks can successfully attack the stop-losses. that’s what causes the waterfall drops. Up until now every attempted price raid since February has been met with aggressive buying, especially in the junior miners. Too be sure, the banks – under the direction of the Fed under the direction of the BIS – are getting geared up to take another run at taking down the price of gold/silver. Whether or not they will be successful is another matter. 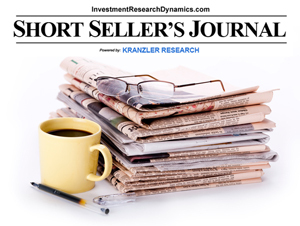 There is a lot of cash on the sidelines which recently exited the stock and high yield bond markets and is looking to pile opportunistically in the PM sector. The debate raging in the precious metals community is if and when the a big raid on the precious metals market will commence. Today, for instance, gold had drifted higher in overnight trading only to be smacked pretty hard when the Comex opened. That’s nothing new. But what’s new, given the way in which the precious metals market is set up right now, is that after being taken down $12 by the criminal traders on the Comex, gold grinded higher until it was only down a couple bucks by the time the stock market closed. 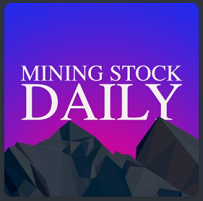 Even more interesting is that fact that the mining stocks (HUI Amex Gold Bugs Index) rejected repeated attempts to take them into negative territory and they finished up over 6 points – 3.6% – on the day. The trading pattern of the precious metals sector – at least for now – has defied all expectations of the market given that the technical factors currently in place have historically ushered in a vicious takedown of the sector. A big variable in the expectation of a big sell-off in gold and silver is the COT “structure.” As of last Tuesday, the “Commercial Sector,” which is primarily the bullion banks, is net short 171,000 gold future contracts. The hedge funds segment of the COT is net long 104k gold future contracts. The “other reportables” and “non-reportable (retail trader) segments make up the rest of the long side of the bullion bank short position. The net short of the bullion banks is 17.1 million ounces. Currently, the Comex vaults are showing 377k ounces of gold in the “deliverable” account and 6.8 million total ounces. This ratio of short interest to the amount of physical underlying is absurd. Technically it’s illegal because, as Craig discusses in the interview (see below), the CFTC continuously defies the laws in place and enables the banks to skirt mandated position limits on the Comex. What will happen if one of these days the hedge funds decide to stand for delivery? If just 50% of the hedge funds stand for delivery? While it’s true that in any given delivery period that, at most, 1% of the long open interest stands for delivery, the laws of probability suggest that one of these days a significant portion of the longs will decide to take delivery. This will bust the Comex.